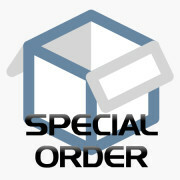 We offer special orders to our customers. These are specially requested features for the easyGUI application. These services are individually priced, depending on, among other variables, time requirements, complexity. Please contact us, to discuss your needs in further detail.